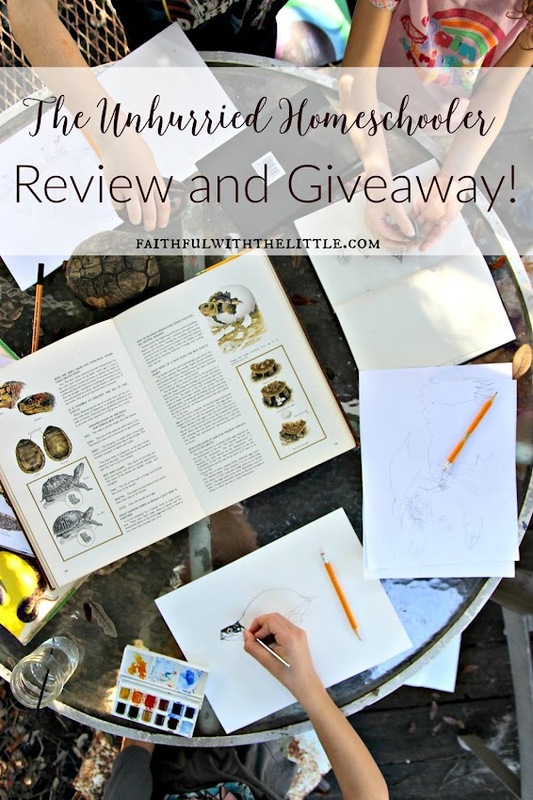 faithful with the little: "The Unhurried Homeschooler" Review and Giveaway! "The Unhurried Homeschooler" Review and Giveaway! I have been given a copy of this book in exchange for my honest review. All thoughts and opinions are my very own. As soon as I saw the title of this book I knew I needed to read it! Over the years I have been that mom that is always saying, "Hurry up!" I have really been asking God to help me and sharing with you here how he is helping me, but I know that God is still working on un hurrying me. Thankfully Durenda( the author) was kind enough not only to give me a copy, but one to one of my readers as well!! I am so excited to be able to share this encouraging resource with you. Reading this book was like a breath of fresh air to my homeschooling mama heart. I literally shed tears of relief as I read her heart for homeschoolers to walk in freedom not in fear. I realized through reading her book that so much of the pressure that I put on myself and my children is out of fear. Fear they won't succeed, fear that they are not keeping up with the public school system and fear that I am not a good enough teacher. I constantly have to remind myself not to base how I homeschool on these fears. I know that they are not founded on truths. I feel like everything she wrote about an unhurried homeschool is what I have believed homeschooling to be about all along. I felt like she was speaking directly to me as I nodded my head in agreement and gave a hearty, "Amen sister!" In my homeschooling journey I have been daily trying to slow down my tendencies to want to try to fit as much as possible in one day. But then I start thinking about all the things I am "supposed" to be teaching my children and there I go again...hurrying. Not only does Durenda show you how to apply unhurrying to your home school but she shares studies to back up her theories, not only from credible sources but from her own 8 children! I love how she gave her children time to explore their interests and time to grow in areas that they were not excelling in at a young age but later on they more than excelled in these areas. I have even seen this to be true for my own children. One example is of my son Judah. He was really struggling to read last year in 2nd grade. I felt I shouldn't push him any harder and just left him be over the summer. As we started third grade I was amazed at how all of a sudden he could read perfectly! Now I find him reading all the time without me even asking him! I can't take any credit for this but I know that by waiting till he was ready made such a huge difference in him wanting to read and in his ability to do so. In this book you will not find someone telling you exactly how to homeschool or what the best curriculums are but you will find what I think we are all looking for as homeschoolers; a clear and definitive affirmation of why we started homeschooling in the first place. We all want what is best for our children and families and that is why we chose to homeschool. Durenda simply shares from her heart why we don't have to try to keep up with the public school system and why we need to stop putting so much pressure on ourselves and our children. Like many of you, I homeschool my children for a number of reasons. One of which is that I want them to have a childhood free from stress and worry and loads of homework and testings. This in no way means that my children don't have to do things they don't like, or any book work or tests; it just means that I believe they should be free to be children and not have to face all the peer pressure and challenges that we as adults have to deal with. If you are like me and need to constantly be reminded that you are the best teacher for your children and that you are teaching them life skills and qualities that are going to go far beyond what a book can teach or a test can determine...this book is for you! I would love for you to enter the giveaway to receive your very own autographed copy of Durenda Wilson's book "The Unhurried Homeschooler" The giveaway will run for 2 weeks! Open to all! 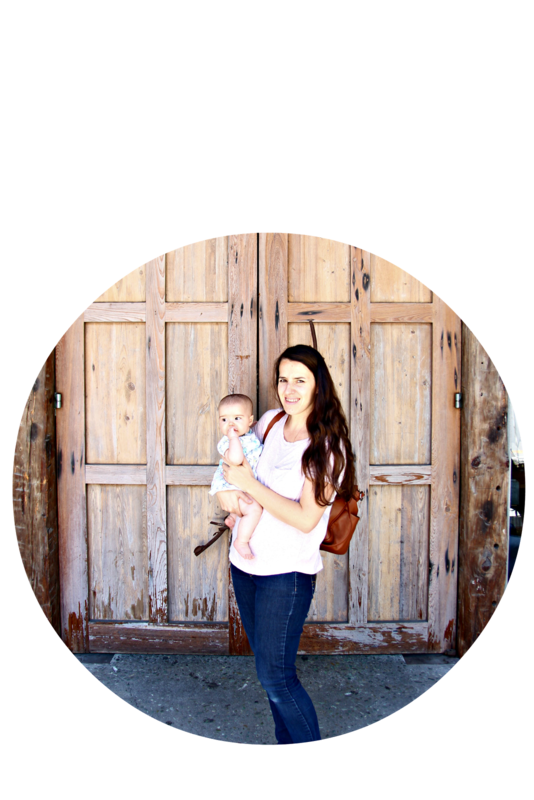 Can you relate to me as well and find yourself hurrying yourself and your children? Do you put pressure on yourself and your children to keep up? Sounds like a great book, Rebekah! Thanks for sharing! Thank you so much for sharing this book. It sounds like just what my heart needs. I'm feeling very discouraged and trying so hard not compare. I need some encouragement with our home schooling! I totally understand! I know I need encouragement every day!! I use to homeschool and I know what you're talking about the questioning, OH THE QUESTIONING! I don't know why I questioned so much the kids were happy, I was happy, they were learning, and having fun along the way. It was great. This sounds like a good book. Yes, it's so crazy! I wish I trusted my instinct more! This book encouraged me to do that more! I can definitely relate! I've been noticing recently how often I answer the kids with "quickly" or "hurry!" We could all stand to slow down a little and I love that it's a short book. Yes, we mamas are always in a hurry and need reminders that there is really no rush! I want to read this book. It's actually already on my Amazon wish list I think. Or maybe I was in a hurry and forgot to put it on...I'm always in a hurry. And busy. I need reminders like these to slow down :). I recently started Morning Time with my girls and it has caused me to slow down and enjoy. The peace and joy I've had ever since has been amazing. I've fallen even more in love with homeschooling. Definitely adding this to my must read list. I'm not sure if I can enter your giveaway... I'm in Canada. Thanks for sharing - your review was a refreshing read. I think slowing down helps all of us! I really hope you get to read it and yes, you can enter even if you are in Canada!! I would love to read this book. I need to really slow down and stop trying to be so busy with the kids. They don't need to do everything every day with everyone. Sometimes it would be nice to say no and just BE! 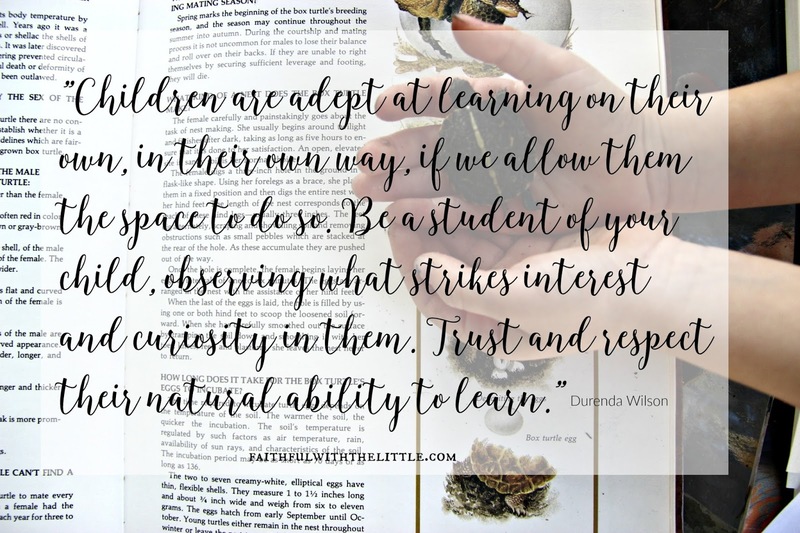 I love the idea of not being hurried and harried and trying to fit too much into our homeschool day. Maybe this book will convince me to finally stop. lol Thanks so much for reviewing it and sharing it with us. This is a book that I need to read! And I can relate to you with not pushing your struggling reader. I have been in the same boat with my oldest and it is starting to click all on its own! Thank you for joining us at Faith Filled Parenting. See you again this week! Don't you love it when that happens! Hope you get to read it!! I did not homeschool my older two children, who are now in the last years of high school. My hubby is finally on board to homeschool our youngest who is only three. I am gathering all the goodies I can to help me prepare for this adventure. Thanks so much for sharing this at Literacy Musing Mondays! Hope this is helpful in the future! I always enjoy books that encourage learning in different ways and I would love my kids to be able to follow their interest. Fun, thank you for this giveaway. I think we all feel the pressure, the myth of "falling behind and never catching up", the idea that somehow we will fail, the fear of the unknown waters that lie ahead in the future. I want to enjoy these short, but wonderful days of homeschooling! Thankfully, where I live, the homeschool laws are very lenient, so we are free to explore as we wish. The only thing holding me back are my own fears. It will be fun if I get the book! Thank you. Constantly trying to hurry my son up. Would love to be more relaxed. The richest,chocolatiest, hot chocolate ever!